Chicago’s best health and fitness expert Stephanie Mansour learned how to make healthy cocktails at Beatrix Chicago in Streeterville! Watch as the bartender and general manager talk to Steph about how to make healthy cocktails and what ingredients to use for great flavor. 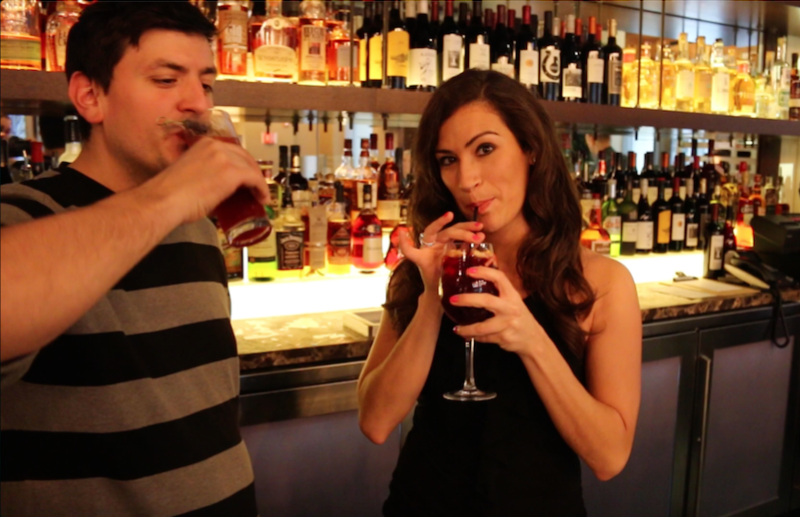 This week’s webisode is about healthy cocktails. My motto is everything in moderation. If you hate chocolate, and I tell you you can’t have chocolate cake, you’re going to want it! We want to do things because they make us feel good; not just because we’re following some rule set by someone else. Therefore, making cocktails in a healthy way is a great way to stick to “everything in moderation”. I visited the general manager of Beatrix in Streeterville in downtown Chicago to have him give us some tips on which ingredients to use, and then watched the bartender whip them up quickly. Take a look. Have any questions about the alcohol that you’re consuming? How healthy is it? Let us know in the comments below. @passion4entrepreneurs.com I love a mojito!